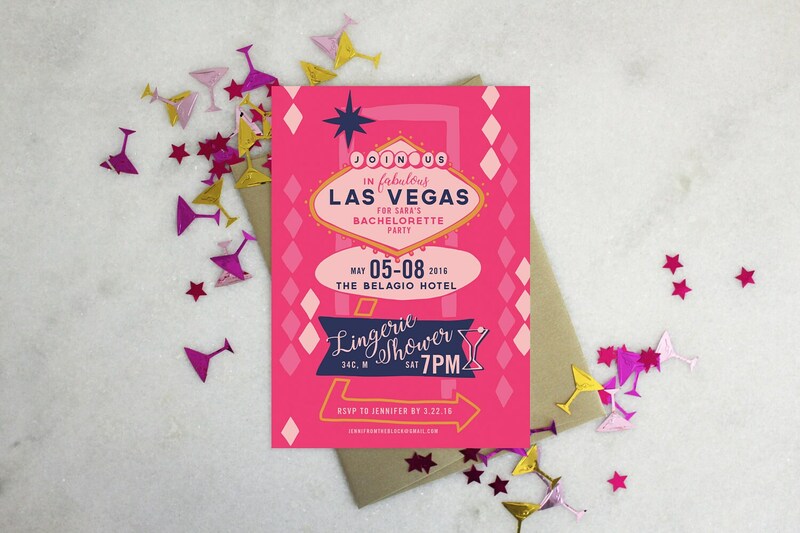 What happens in Vegas stays in Vegas, but we agree that the invitation should look presentable even if the hangover doesn’t! 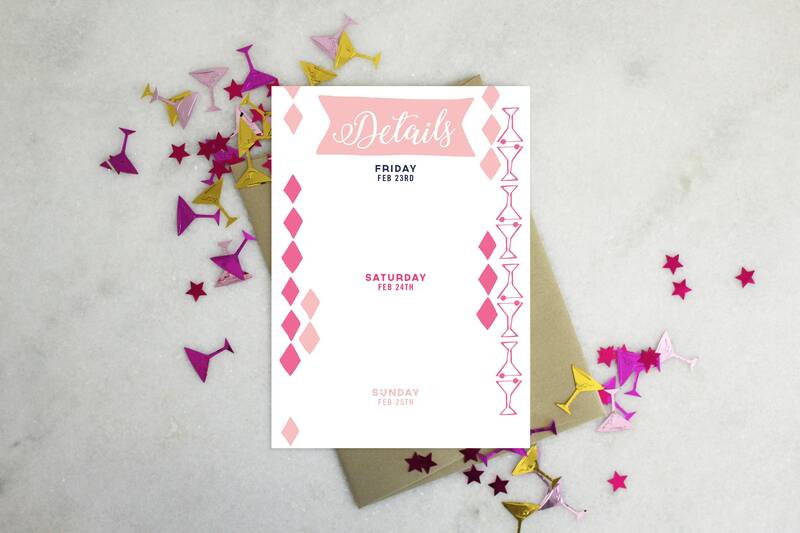 Included is an option backside to house your itinerary. 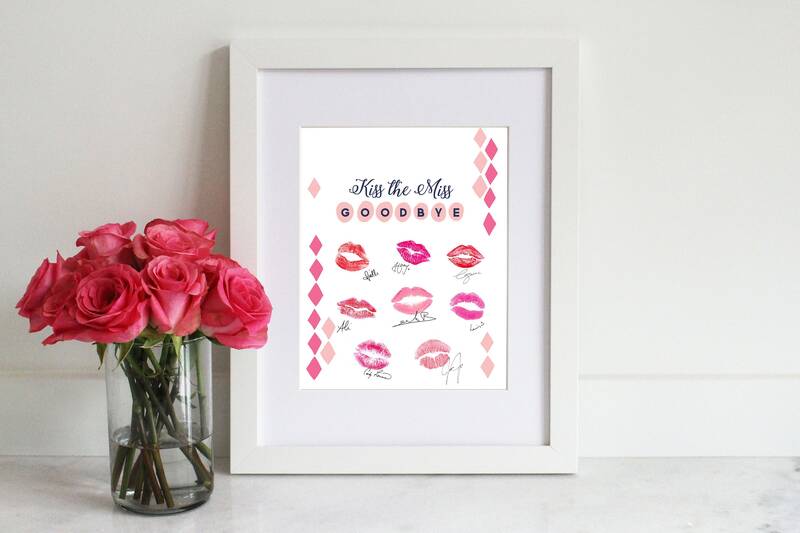 Don't forget your 'Kiss the Miss Goodbye' sign for your day-of decor! *The print does not include signatures or kiss marks. - Her lingerie size (optional).